This Cromlech stands on a small farm called Perthi-duon, near Brynsiencyn. It lies within a line taken by a fence, of which it forms a part. 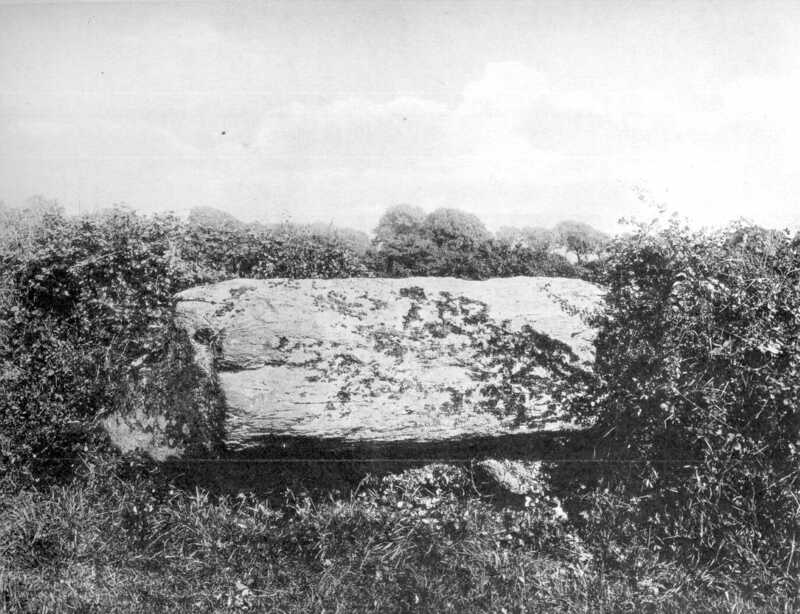 The capstone is fallen towards the north, with one end resting on the ground, and the other end leaning on two short upright stones sunk deep in the ground. Its length is between seven and eight feet, by six feet wide, and it is three feet in thickness. (See Arch. Camb. Vol. XV. 1869).